Have you ever been to a restaurant or on holiday where you were entertained by a Belly Dancer and thought, ”wow, I wish I could do that”? Well, you can. 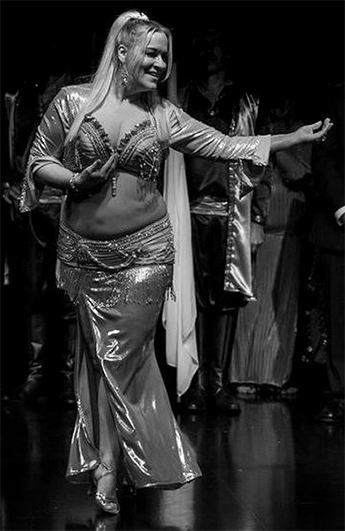 Belly Dance is for everyone, no matter what size, shape, age or gender and you don’t have to have a sense of rhythm or be co-ordinated, as you will learn the technique and steps to master this. 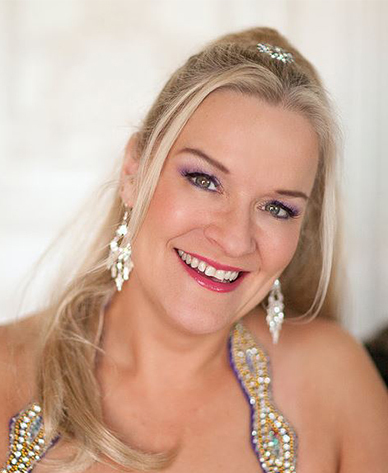 I first began my belly dance journey 10 years ago when I decided to attend a evening class. The dance school was getting ready for a show in a couple of months’ time, and I knew (there and then,) that first night, that I wanted to be part of it too. Not everyone wants to perform though and many people come along to classes just for fun/fitness/something different to try/friendship (yes, you do make friends along the way and sometimes that is a good enough reason to come to class when the nights are dark and it’s raining outside). Whilst belly dance is not a fitness program in itself, it does have its benefits and if you go to regular classes/practise at home, you not only get better at it, you’ll find that you can get more toned, fitter and flexible. So how do you choose a Belly Dance Class? Most people usually start with a trial class in their local area, sometimes advertised in the local newspaper. For some, it’s on a recommendation from a friend who goes to one. Others will do a search on the internet and find classes/schools local to them. Have a look if any of the teachers have a website. This can give you more information on how big their class/school is and whether they perform regularly or if they’re more for social learning. All of these are excellent ways to get started in Belly Dance. Some teachers only have a few small classes whilst other run larger schools. Both can be equally as good as each other. It doesn’t mean that just because a teacher only has a few classes and students that he/she isn’t as good as a large school. Usually in a large school you will find that the main owner/teacher can only teach a certain amount of classes (they can’t be in two places at once) so they’ll have other people teaching classes for them under their name. What style of Belly Dance do you want to learn? There are numerous styles and most teachers will teach a mixture of them but mostly specialise in the Egyptian/Middle Eastern style. However if you decide that Tribal or Gypsy Caravan is best for you, then you would be best to look for a teacher that specialises in that. For the different styles, have a look on the internet to see what they are and look like. Do you want to perform? Or do you only want to Belly Dance for fun, fitness and the social aspect? Do you want to become professional, or happy to just be a one-day-a-week attendee? Do you mind travelling further afield to a class, or would you be more dedicated if the class was near to where you live? (Location can have a huge impact on whether you drag yourself out on a cold wet night to go to class). Have a look at what classes the teacher has on offer. Most usually have a range of beginners, beyond beginners, intermediate and advanced. What time would you prefer to go to class? Some teachers have daytime/weekend classes too, so this can help you decide too. These are important questions to ask of yourself and also the teacher, as that will help you to decide which class to go to. Most teachers will offer a casual rate for attendance (payment each week), or a concession rate, paid up front, for a block of classes. Prices vary depending on teacher/school. And if you start a class and then decide it doesn’t suit what you’re looking for, then try another one. You’re not bound to one teacher either. I often used to attend two different classes with different teachers. No one teacher can give you everything. Sometimes you may struggle with a move and suddenly you go to a different teacher and hey presto! You’ve got it! I also still attend a lot of workshops too. These are usually a couple of hours long and can be a part of a weekend set of workshops with all different teachers, styles, techniques, choreographies. You never stop learning even when you’re advanced/professional – even they revisit the basics from time to time. The Middle Eastern Dance Association of New Zealand (MEDANZ) have a list of teachers who are members from around the country. MEDANZ hold regular workshops and an annual festival, and they also do a lot for the dance community in NZ and are well worth becoming a member if you decide to take up Belly Dance and would like to be more involved outside of your chosen class. Wear something comfortable but something that also shows your legs, so leggings or gym/dance trousers are preferred, as your teacher will need to see what your legs and feet are doing. A comfortable top for ease of movement, T-shirt/singlet/fitted with sleeves – wear layers so you can take off as you get warmed up. Flat dance/jazz shoes/ballerina pumps if you have them, or socks if not. A hip scarf if you have one – this can be a large scarf tied around the hips, or the ‘favoured’ coin belt which jingles. (Usually available for purchase from either your teacher or online). This is to enable the teacher to see what your hips are doing, whether they’re going up when they should be level and so on. Always take a bottle of water with you, and a note pad and pen for taking notes is helpful. One of the most important things to learn in belly dance is the posture. You’ll find it also helps with your posture in day to day life. Feet flat, facing forward, hip width apart. Knees are soft, like when you are walking. Pelvis is in neutral position, upper body is lifted, and shoulders are down and back (not hunched). A quick check in a mirror would show your ears, shoulders, hips, knees and ankles in alignment, balanced equally over the front to back of your flat feet. When taught, all of the above are broken down into sections, so for example, a hip circle will be taught by moving your hips in a square – front, right, back, left and then back to the posture stance. Once the basic idea is grasped, it will be smoothed out to form a circle. For all of these moves, when first being taught, you will keep either the upper body or lower body still to ensure you are using the correct muscles, so if you’re doing a chest circle, you’ll keep the lower body still. This is called isolating the movement. As you progress, you’ll be taught how to layer the moves together, so for example a hip shimmy paired with a chest circle. You also have level changes (adjusting your height) and directional changes (dancing in diagonals/circles/backwards and so on). And there are many more moves and techniques that you will encounter as you progress further. Some of the most famous Egyptian Belly dancers to watch are Dina, Randa Kamel, Samia Gamal, Tito (a male dancer). Yes, men do it too and are amazing to watch. Belly Dance is also called Raq Sharki, Orientale or Middle Eastern Dance as there are numerous styles from different countries; Lebanon, Morocco and Turkey have their own distinct style of Belly Dance which is slightly different to the way the Egyptian style is performed. These sophisticated modern styles originate from the regional Folkloric styles that have been taught and passed down through the centuries in this region. A new style sprang up in America in the late 1980’s called Tribal or Tribal Fusion and it does not relate to any real tribal dance at all, it’s a style in its own right, taking inspiration mainly from Middle Eastern, Indian and Flamenco dance styles. Costumes are varied. The basic Orientale costume is a beaded/sequinned bra and belt with a skirt, tummy exposed. A highly decorated dress can also be worn. Dancers sometimes wear a coin belt or hip scarf, (tied around the hips) either at practise or performance. A coin belt when ‘jiggled’ makes a tinkling sound and is also a very visual way of seeing the hips moving. For Tribal dancers, the costuming is more flowing with large folkloric looking skirts and accessories, sometimes dark, sometimes coloured, with a tie up choil top and a coin bra over the top. Folkloric is usually a galabeya (long dress) with a scarf tied at the hip and sometimes a headscarf covering the hair too. Props are also often used: sword, veil, wings, fan veils, cane, (or Assaya/stick) poi, zills, shamadan (candelabra), candles, trays – there’s many and they all add to a theatrical experience, but it’s a good idea to learn the basic moves first before attempting to use a prop. The main thing when starting out in Belly Dance is to show up at class! Give it a go, have fun and hopefully you’ll be a convert for life!